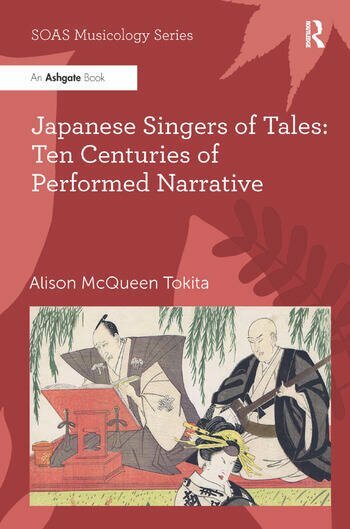 Alison McQueen Tokita presents a series of case studies that demonstrate the persistence of Japanese sung narratives in a multiplicity of genres over ten centuries, including the way they flourished and declined, together with factors contributing to development and change in narrative performance. Performed narratives are examples of a shared cultural heritage, which in the past have given people a sense of belonging to a community. Narratives that were continually re-told and recycled in different versions and formats over a long period of time served to build people's sense of a common identity over space (the geographical extent of 'Japan') and time (the enduring power of many specific narratives such as The Tale of the Heike). Much scholarly attention has focused on Japanese pre-modern literature and drama, but the tradition of oral narrative has barely been touched. Tokita argues that it is possible to identify a continuous tradition of performed narrative in Japan from the tenth to the twentieth centuries. The elements of variation and change relate to the move away from oral narrative to text-based performance, and from a simple narrative situation with one performer to complex theatrical narratives with dancers, singers and other musicians. The resulting complexity led to the pre-eminence of the musical aspects in some cases, and of dramatic or dance aspects in others. Tokita includes substantial musical analysis and exploration of theoretical issues, as well as documentation of important performance traditions, all of which are extant. Contents: Preface; Singing the story: continuity and change in Japanese performed narratives; Musical Buddhist preaching: kōshiki shōmyō; Heike narrative: the musical recitation of The Tale of the Heike; Dance and narrative: kōwaka and nō; Jōruri and the puppet theatre; Sung narratives and kabuki dance: bungo-kei jōruri; Sung narratives and kabuki dance: nagauta and ōzatsuma-bushi; Epilogue; References; Index. Alison McQueen Tokita is Professor and Director of the Research Centre for Japanese Traditional Music at the Kyoto City University of Arts, and adjunct Associate Professor in Japanese Studies at Monash University. She has published widely on Japanese narrative music, and is currently working on naniwa-bushi. In recent years she has researched the role of the piano in East Asian musical modernity. She is co-editor of The Ashgate Research Companion to Japanese Music (2008), Complicated Currents: Media Flows, Soft Power and East Asia, and Outside Asia: Japanese and Australian Identities and Encounters in Flux.